You might recall the announcement made by the Tokyo Metropolitan Police Department last August that, in tracking and arresting one of the country’s most wanted criminals, 3D printing had played a major role. The terrorist Katsuya Takahashi was the last free member of Aum Shinrikyo, a domestic terrorist group behind a 1995 sarin gas attack that left 13 people dead. Before they finally brought him to justice in a manga cafe in June, 2013, the police working the case had printed a bust of Takahashi’s probable, present day appearance. This gave them a much more detailed, accurate visual of the man who had eluded them for nearly two decades and was a crucial tool in his eventual capture. 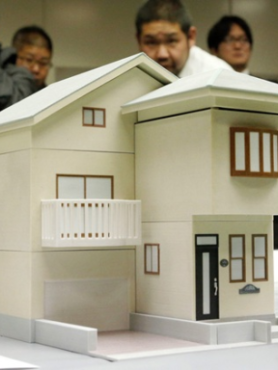 Now, the same department have announced the 3D printing of an exact model of a house in which the bodies of the young Miyazawa family were discovered precisely 13 years ago. On December 30, 2000, father Mikio (44), mother Yasuko (41) and children Niina (8) and Rei (6) were found dead at their home in suburban Tokyo. The case has baffled investigators since that day, with no witnesses coming forward and no suspects officially identified. Now, those investigators have turned to 3D printing. 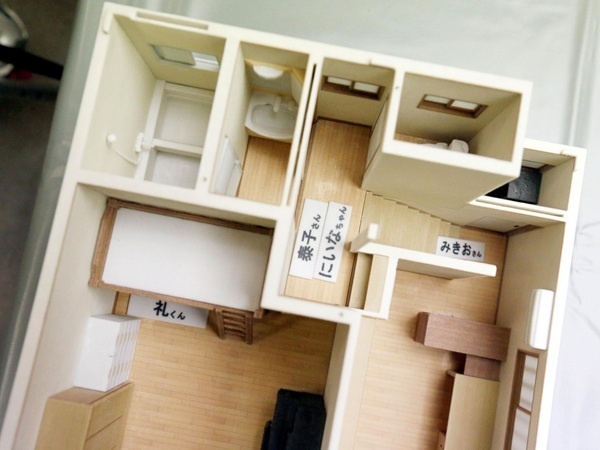 Using a Selective Laser Sintering device, they have rendered a 1/28 scale model of the Miyazawa’s two story home. 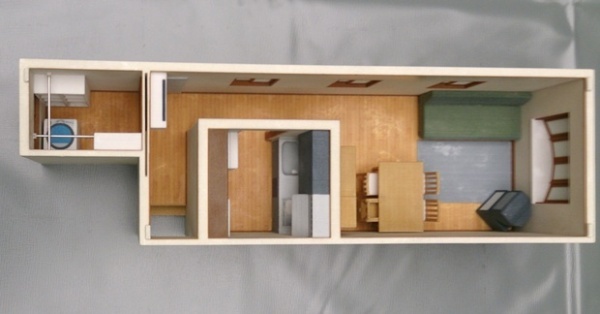 The roof of the house can detach, allowing you to examine the precisely detailed interior, where small labels denote the position of each family member’s body. It’s a chilling and, we have to admit, compelling look inside the site of a genuine horror story, yet the police are hoping it could be much more than that, perhaps even the turning point in this most troubling case. By mapping out the scene in rigidly detailed 3D, they can visualise the crime in a way not possible using photos, drawings or floor plans. The model will also be used to educate trainee investigators in how to search and analyse crime scenes, with plans to print more, similar models in the future.